Three has announced its range of price plans for the new Sony Ericsson Xperia Play, and it's not good news for those on a budget. The new PSP phone will set you back a mind-boggling £99 on a two-year deal, and you'll still have to pay £35 a month for the privilege. That drops to £49 a month on a £40 a month deal, which inevitably gives you more minutes, data and texts than the average person can comprehend (2000 mins, 5000 texts and unlimited data). It's not Three hiking up the price of the phone though - this is something all providers have had to deal with. Orange is offering the same phone for £99.99 on a £40 a month deal, but with fewer minutes and data. Both are offering the Xperia Play on pay as you go, with Three the more expensive at £499 compared to Orange's £449 (with £10 top up). Oddly, this is comparable to many phones that are free on a £30-£35 a month deal... so where's the extra cash requirement coming from? These prices place the phone above one of the industry's most expensive: the Apple iPhone 4, which 'only' comes in at £19 upfront on a £40 a month plan from Three. 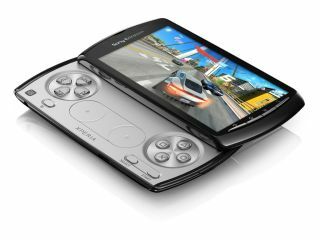 TechRadar's Sony Ericsson Xperia Play review found the phone to be a middling device, noting "The Xperia Play is too pricey for casual gaming, while we'd suggest serious gamers would be better served by picking up a full-on mobile console." With production issues looming for the phone thanks to the Japanese earthquakes, it's going to take a lot of marketing effort from Sony Ericsson to make the Xperia Play a success... will this be the phone to make converged gaming mainstream, or are we seeing the N-Gage debacle MKII?